My amusement in Valentine’s Day no longer exists, (you can say I do not believe in it). 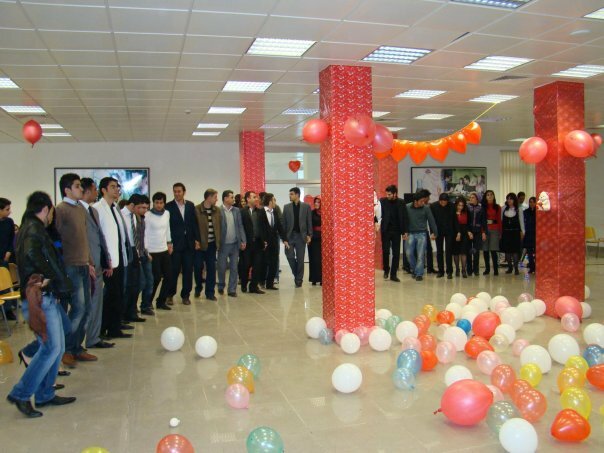 But I should not be biased, so I thought I would write to you, my dear reader, about Valentine’s Day in Kurdistan. Yes although it’s a rather new phenomenon here, it is celebrated!! Outside the three major cities it is rare to find people who know much of a special day dedicated to intimate companions, in the city it’s a different story (and Suly more than Erbil for sure!). 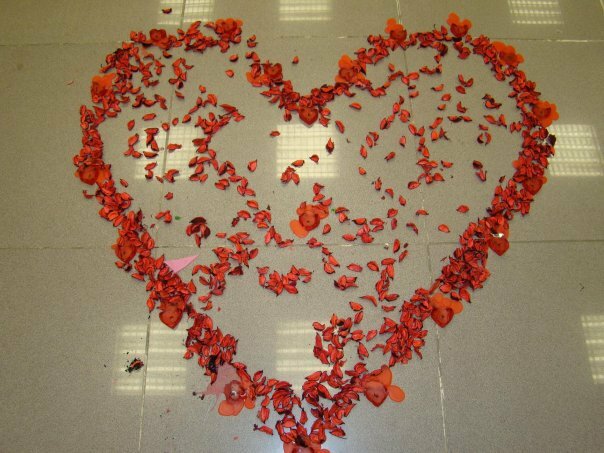 At university, it is become a tradition that every year a party for valentines is made, even if it falls on the holidays, it takes place on the last day of Uni. In the past two years I haven’t been able to make it to the valentine’s party (this time last year I celebrated in the icy cold winter days of Vienna and this year, I was just not in the mood for any sort of celebration). 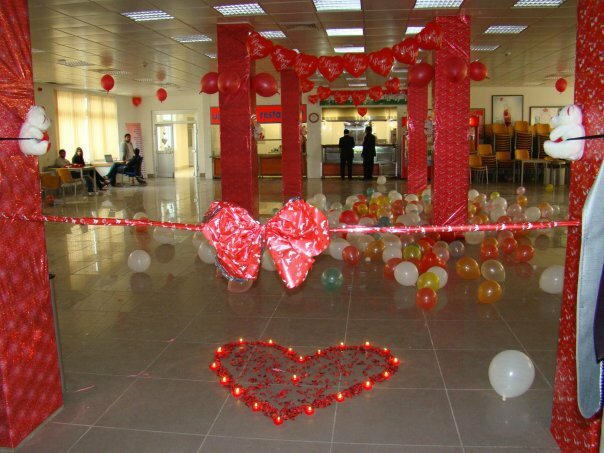 At the completion of the exams, the Uni cafeteria* was decorated by the Student Union in such a way that it was transformed entirely and the mood of Valentine appeared. I hear activities, song and dances carried on for a long time. Basically, young people, whether they are at our University of any other college in the region, the day is gradually becoming a big phenomenon. Whilst it does not fit all aspects of the Kurdish culture, I still believe it is a positive change as it brings something worthy into the culture- one of love, appreciation and respect, better than hatred and abhorrence. February 14th is actually becoming a day where young people look forward to it—friends exchange roses, sweets and friendly texts remaining them they are there for one another. At the same time, there are people who do not even know a day of such exists in the world. I still believe Kurdistan, if it were to celebrate a day for lovers, then the day should be one that reflects one the varies well-known lovers in the Kurdish literature; like Mam u Zin, Shirin u Farhad and Wali Deewana and Sham. Just how did Saint Valentine reach the mountains of Kurdistan?! 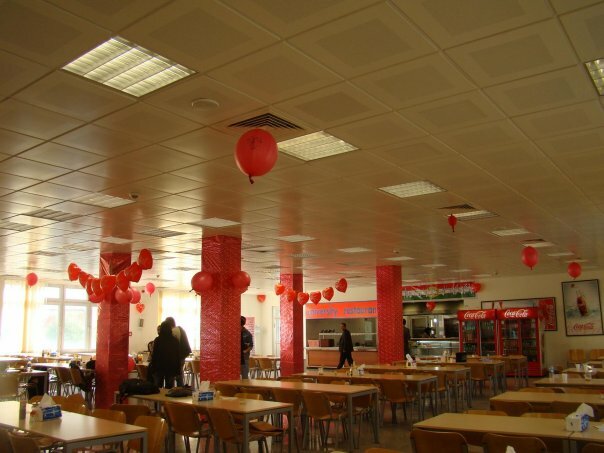 *Cafeteria in the University of Kurdistan is not just a place for eating food and sitting around a table. We have ate, mourned, cried, laughed, played, talked, fought, argued, and danced in it. Let us say it has the ability to be transformed into almost anything. @muhammed, it's just a day for lovers… it's not supposed to be that DANGER as you mentioned..
whatever it is – if makes kurdish people to have joyfull fun – my heart is happy about that.